The TOILETS FOR TOTS’ program is dedicated to bringing toilets to children. Many children have not ever seen a toilet! 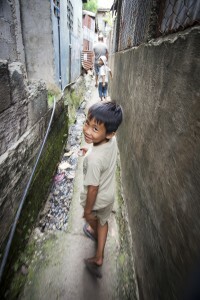 But, proper community sanitation programs and personnel hygiene are necessary for them to sustain a healthy lifestyle. Millions of children across the Philippines need drugs like Albendazole, this drug is used for the treatment of a variety of parasitic worm infestations. Once worms are eradicated in the children’s bodies then and only then is the body able to absorb the proper vitamin & minerals from food or micro-nutrients. This also causes a unnecessary economical cost to the town and country! Help us stop the spread of disease by: making a donation today> through our secure website. According to the latest estimates of the WHO/UNICEF Joint Monitoring Programme for Water Supply and Sanitation (JMP), released in early 2013 (collected in 2011), 36 per cent of the world’s population – 2.5 billion people – lack improved sanitation facilities, and 768 million people still use unsafe drinking water sources. Inadequate access to safe water and sanitation services, coupled with poor hygiene practices, kills and sickens thousands of children every day, and leads to impoverishment and diminished opportunities for thousands more. Poor sanitation, water and hygiene have many other serious repercussions. Children – and particularly girls – are denied their right to education because their schools lack private and decent sanitation facilities. Women are forced to spend large parts of their day fetching water. Poor farmers and wage earners are less productive due to illness, health systems are overwhelmed and national economies suffer. Without WASH (water, sanitation and hygiene), sustainable development is impossible.